They're easy to work with. They are professional and they get their work done on time. I can call them up and they show up. My experience with them was very positive. They were professional with the estimate and the work they did. I enjoy dealing with them. I really liked their level of professionalism and their responsiveness. They are very quick. 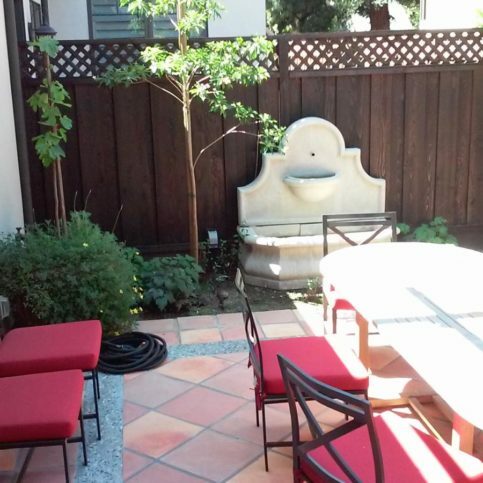 EW Landscape, Inc. provides landscape maintenance and installation services for residential and commercial clients in San Mateo, Santa Clara, and San Francisco Counties. 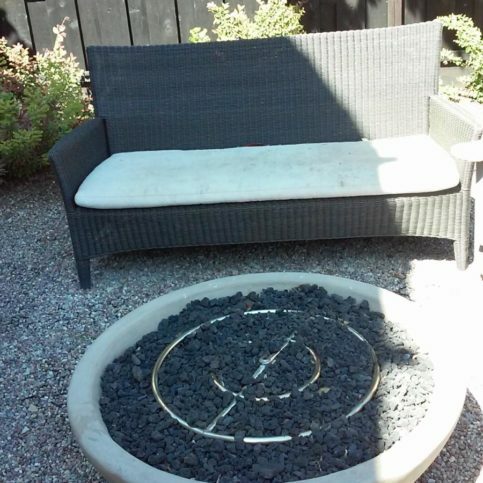 The company has the training and equipment to install everything from irrigation systems, low-voltage landscape lighting and outdoor kitchens to paving stones, fireplaces, ornamental stone paving, Koi ponds and select specimen trees. EW Landscape also has extensive experience with xeriscaping–a specialized form of landscaping focused upon the use of drought-tolerant plantings that utilize minimal water. EW Landscape guarantees its work in writing to assure its clientele that their satisfaction is the company’s number one priority: automatic irrigation systems for one year, trees for one year, shrubs for six months and ground covers for 30 days. For a complete list of services and to see photos of past work, Mr. Wood invites potential customers to visit www.ewlandscapeinc.com. DIAMOND CERTIFIED RESEARCHED CAPABILITIES ON EW Landscape, Inc.
Company Name: EW Landscape, Inc.
DIAMOND CERTIFIED RESEARCHED ARTICLES ON EW Landscape, Inc.
EW Landscape has been providing landscape maintenance and installation services for residential and commercial clients in San Mateo, Santa Clara, and San Francisco Counties since 2010. 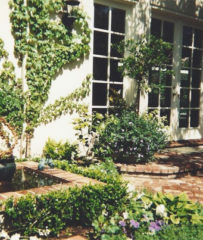 In addition to installing everything from irrigation systems, low-voltage landscape lighting and outdoor kitchens to paving stones, Koi ponds and select specimen trees, the company has extensive experience with xeriscaping–a specialized form of landscaping that uses drought-tolerant plantings that require minimal water. If you’re planning to take on a landscaping project, make sure you take a water-wise approach. In light of the current statewide drought, many California residents are taking water-conserving measures in their homes, whether by amending wasteful habits or making pertinent upgrades to plumbing fixtures. 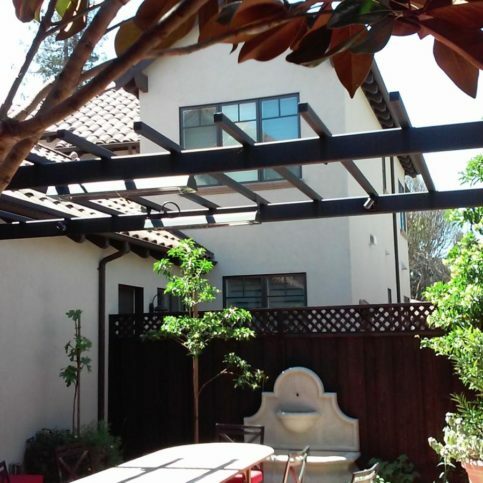 However, another area where water conservation is a major concern is exterior properties. While this can be addressed by modifying irrigation systems and/or watering schedules, if you’re taking on a new landscaping project, being water-wise starts with your initial choices. Q: Do you provide design services? A: We’re not officially a landscape design firm, but we’re legally permitted to do design work if you need it. We’re also happy to work with a landscape designer that you hire. Q: Can you provide ongoing maintenance after my landscape installation is complete? Q: Is it necessary to do a preliminary site survey? A: Absolutely. There are several aspects that can factor in to how we estimate the job, including whether the ground is flat or sloped, as well as the presence of natural obstructions like tree roots. Q: How much experience does your crew have? A: Everyone in our crew has been with us for at least five years, and some have been with us for as long as 20 years, so you can be assured that knowledgeable, experienced people will be working on your project. Q: Can you provide a list of references? A: Certainly. We’ll give you a list of past clients so you can contact them and ask about their experiences with us. SELECTED PHOTOS FROM EW Landscape, Inc.
EW Landscape works with clients to satisfy their landscape needs. EW Landscape can work with spaces of every size. 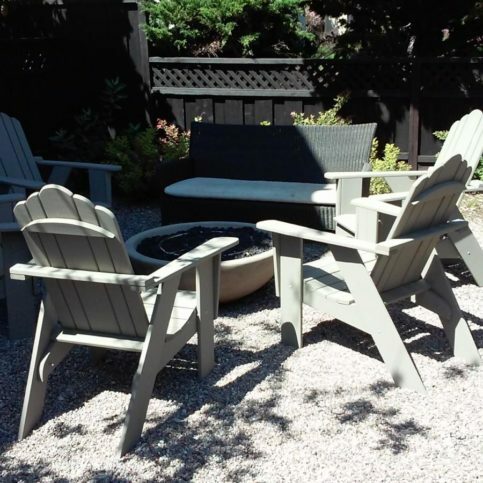 EW Landscape strives to create perfect outdoor areas for its clients. EW Landscape makes the most out of each client’s yard. 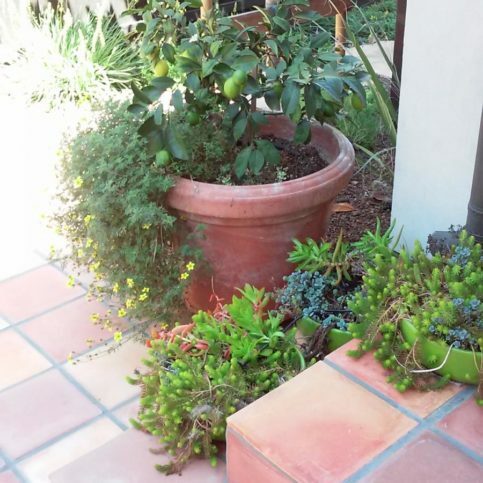 EW Landscape picks plants to thrive in its customers’ environments. 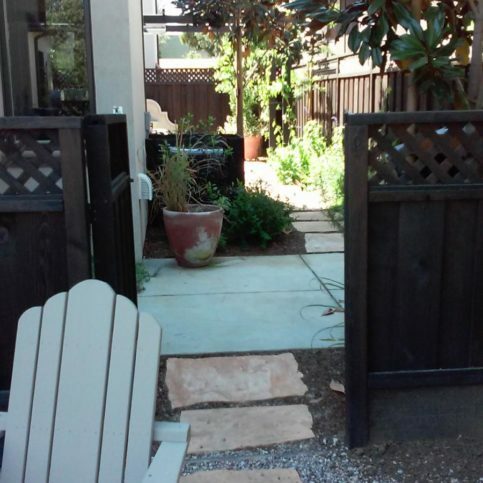 EW Landscape designs areas specifically for its clients. Stephen Wood is Responsible Managing Officer of EW Landscape, Inc., a Diamond Certified company. He can be reached at (650) 720-5995 or by email. Outside of work, Steve likes to spend the bulk of his time outdoors, exploring the natural beauty of Northern California. “I really enjoy the outdoors, and California is one of those places where you can access a lot of amazing areas within a relatively short distance,” he says. “I’m into hiking and camping, as well as water rafting and ocean kayaking. One thing that’s still on my bucket list is to go rafting through the Grand Canyon.” Stephen also likes to spend time with his grown son, Tyler, who works in the tech industry. Q: What is your favorite season of the year and why? A: Fall, for the colors. Q: If you could travel to any country in the world, where would you go and why? A: I’d like to go back to England. My family lived in London for about a year when I was young, and the English struck me as a people with a very rich, detailed history. A: Thanksgiving—none of the gift giving, but all of the family. Here’s how it works: Fill the empty wine bottle with water and take it over to a plant in your yard. Turn the bottle upside down and place it into the soil near the plant’s root zone. Upon entering the soil, a plug will form in the bottle’s neck, which will keep the water from immediately draining out. Over the next few weeks, the water in the bottle will gradually seep into the soil, providing the plant with a slow, steady supply of irrigation. This method is especially handy if you don’t have an automatic irrigation system on your property. Besides saving water, it saves you time, since you’ll no longer need to hand-water your plants each day. A single 1.5 liter wine bottle can deliver water to a plant for anywhere from four to six weeks. Even if you prefer smaller bottles of wine, these can still give you a couple of weeks’ worth of irrigation from a single fill-up. Keep in mind that bottles tend to empty faster in dry soil. In light of the drought conditions we’ve experienced lately in California, this method offers a convenient and water-wise solution for irrigating your landscape. It’s also convenient if you’re going out of town and don’t have someone to water your plants in your absence. 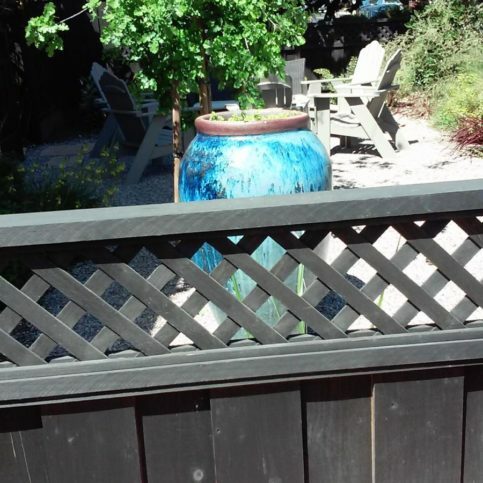 MENLO PARK — As California heads into its fourth year of drought, many residents are employing alternative landscaping methods in an effort to minimize water usage. While most would assume this includes giving up one’s front or backyard lawn, this isn’t necessarily the case. In fact, by incorporating the right technology and techniques, one can raise and maintain a lawn without the need for excessive amounts of water. Raising a water-wise lawn involves a number of important elements, the foremost being an efficient irrigation method. While drip systems have been in use for a long time, only recently have they been applied to lawn irrigation in the form of subterranean drip emitter systems. Consisting of a series of rigid pipes, this drip system is installed a few inches below the ground to target grass roots, while minimizing evaporation. Another vital consideration is your method of lawn installation, whether growing it from seed or laying down sod. In terms of water conservation, a seeded lawn is best, as it requires a lot less water than the alternative. Additionally, seeded lawns are more durable than sodded ones, and are available in a greater variety of species and blends. Other factors involved in raising a water-wise lawn include proper soil preparation, fertilization and the application of soil polymers, which create tiny reservoirs within the soil. When all of the aforementioned components are used in conjunction, it results in a healthy, aesthetically-pleasing lawn that doesn’t require an exorbitant amount of water to maintain. This is a 1-1/2 liter California Merlot. Once you’ve emptied it, it either goes into the recycle, or you could fill it with water, find a plant that’s stressed, invert the bottle in the soil. For the next six weeks, the contents of this bottle will seep slowly through the cork that you formed by inserting it into the soil and dispersing the roots. And your plant will be taken care of for as much as four weeks. Thank you very much. 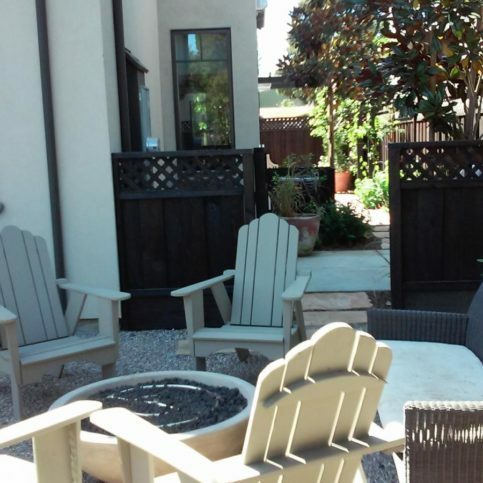 MENLO PARK — Host, Sarah Rutan: If you think the only way to raise and maintain a lawn is by using lots of water, you’ll be surprised to hear this isn’t necessarily the case. Today we’re in Menlo Park with Diamond Certified Expert Contributor Stephen Wood of EW Landscape to learn a better approach. Diamond Certified Expert Contributor, Stephen Wood: We are in a drought. There is no question about that. 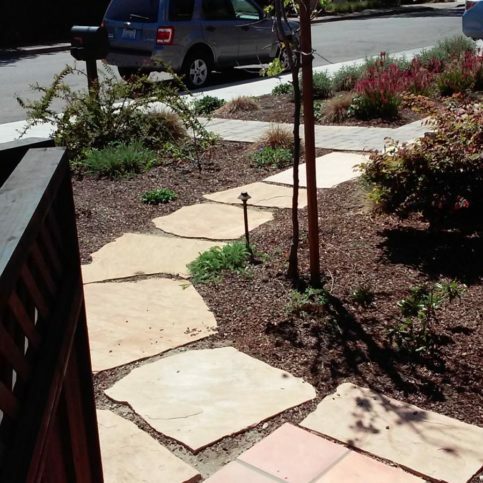 What to do with your landscape in a drought circumstance, that’s a good question. There are, happily, things that you can do. Either on your own or through the auspices of a professional, you can sustain your yard in the manner to which you’ve become accustomed. Soil preparation, deep tilling, adding of rich humus, soil polymers, fertilizers all play a key part in developing a landscape in a drought climate. Subterranean drip emitter systems will enable you to raise as fine a lawn as you had ever hoped to have. Seeded lawn, seed being, in my opinion, much tougher than sod, it has a far greater range of characteristics and types, it has more durability than sod, and it requires far away less water. Seeded lawn is really the way to go for any new law installation, even during a drought. Diamond Certified RATINGS ON EW Landscape, Inc.
EW Landscape, Inc. : Average 8.7 out of 10 based on 19 unique customer surveys of customer satisfaction. I would say that they were reliable, responsive, and when I had extra needs, they were very attentive to those. It was easy to reach the owner, and he often came out and helped me directly. They are thorough, experienced, respectful, fair, and they plan ahead. They deliver the best landscape service available to match what we want and can afford. They exceeded all of our expectations. They were very responsive to our needs, and they did the work on time and on budget. They're on time, and they do what they're supposed to do. Great communication skills and thorough in explaining his thought process, Stephen's very proactive, instead of reactive, which is also great. I've been using them for two years, and I've been very happy. They have excellent attention to detail. They are very responsive to my calls and emails. They have done an excellent job on our landscaping and yard work. I always thought communication was a strong point of theirs. There was always a lot of follow-up to troubleshoot any issues and take time to make sure everything was done well. I liked the open, direct line of communication with the owner. They are consistent, hardworking, responsive, and they pay attention to detail. I like that they are thorough, they come every week, and they do extra things when I ask them to. I think they are thorough and punctual. I received email communications from the foreman which I think is unusual for this type of business, and I really appreciate it. It's very helpful. Their attention to the schedule and detail, in all of the years that I've used them, they have been reliable, and they always show up. Stephen is very proactive and checks in with me to see what my needs are. They are very reliable, very responsive, reasonably priced, and they come up with good ideas if you want to make any changes in your yard. I like their responsiveness, the fact that they're reliable, and I trust them. Stephen is reliable, responsive, and helpful. I think that they definitely went the extra mile to get the job done. They were also quite experienced in irrigation, so they were able to come up with some nice solutions to my problems. The owner, Steve, was very friendly, approachable, and had good communication. They do good work, they are very detailed, and they take pride in their work. I think I would recommend having some type of written agreement as to what will be done, the time schedule, and the prices. I liked the worker who was in charge. He was very responsive to whatever I asked him to do. I would say to make sure he had resolved the issues that he had with his crew. I liked him personally as he was very ethical and fair. He came and did the job because he had committed to it, even though he didn't have any workers.